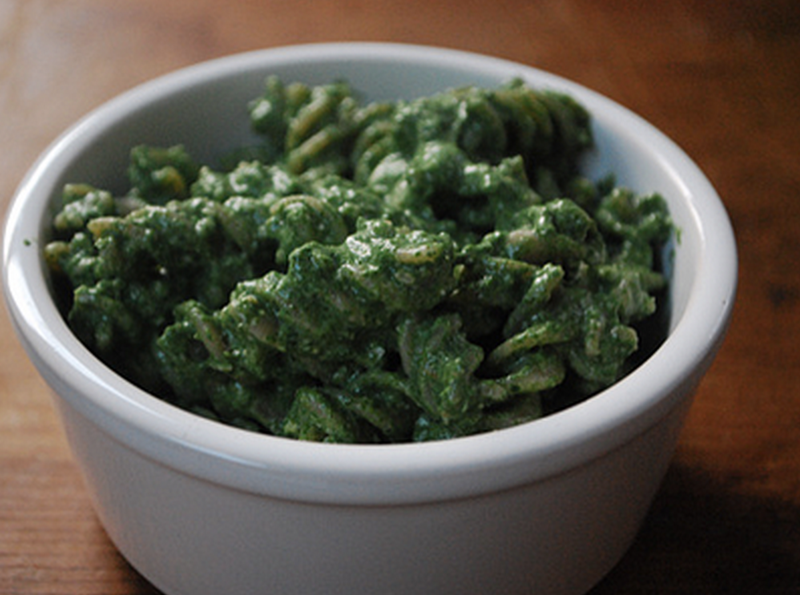 There is no chance my children would eat spinach on its own. 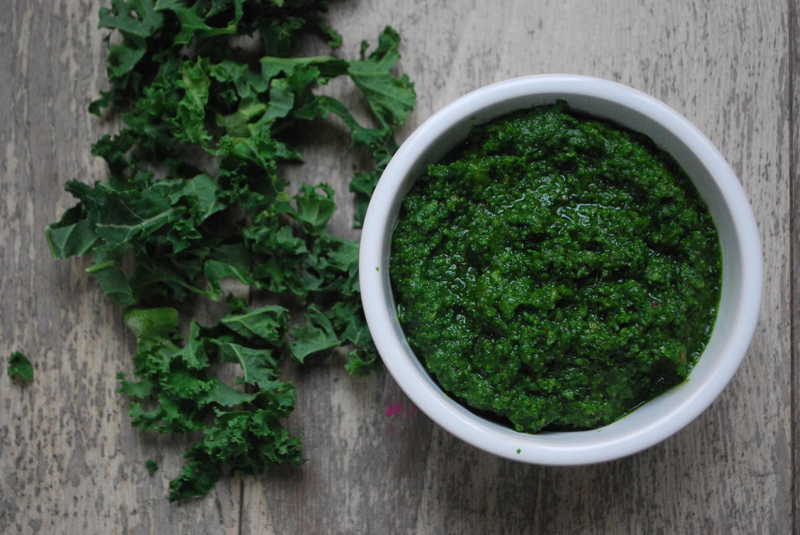 Cooked normally, I can understand why they find it off-putting as it doesn’t look wonderful, is slightly on the slimy side and can be quite gritty so this is a great way of getting them to eat more rich, vibrant greens. 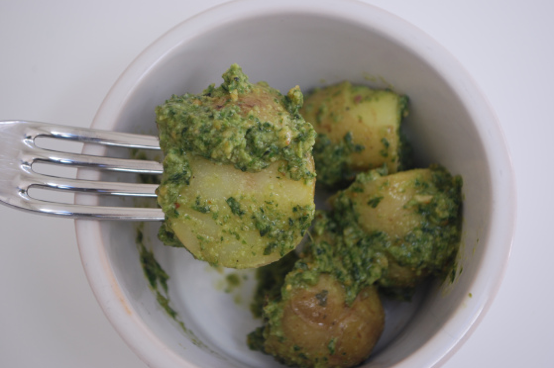 It makes an incredibly easy yet wholesome sauce for pasta and is delicious as a dip with pitta crisps, etc. It literally takes minutes to make and is definitely good enough to serve up later in the evening as a grown-up meal. 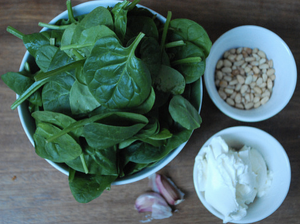 The spinach provides a rich source of iron which is important for healthy blood and supporting energy levels. 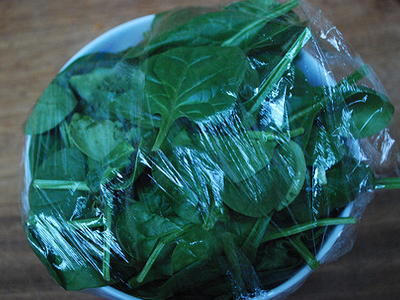 It is also rich in immune boosting vitamin C.
Put your spinach in a bowl and cover with cling film. 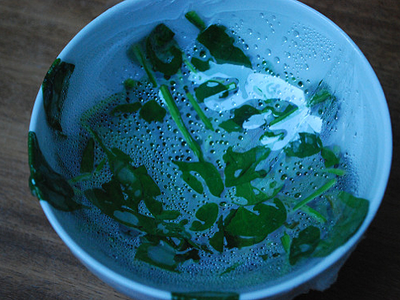 Place in the microwave for 1-2 minutes until totally wilted. You can alternatively do this in a dry saucepan. 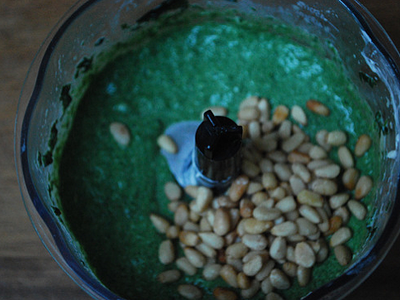 Then put the spinach in a blender (you can use a hand blender) and add garlic, cream cheese, pine nuts and then blitz. 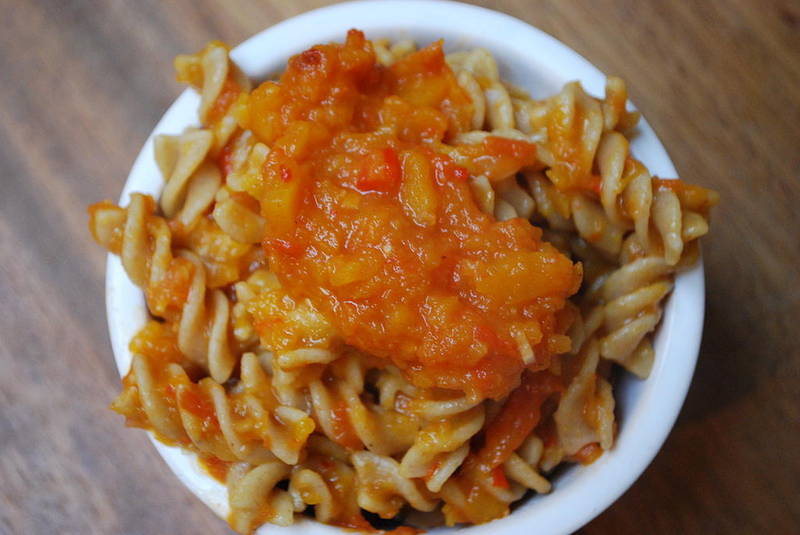 Stir through some pre-cooked pasta or as a vibrant dip with carrots or pitta fingers. It will keep well covered for a few days in the fridge.